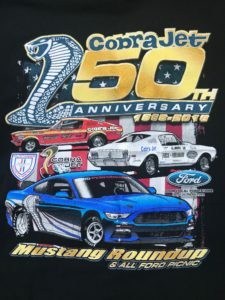 This High Performance Driving Event is Day 1 of the 39th Annual Mustangs Northwest Round Up! This high performance driving event is designed around an atmosphere of having fun with our friends and family in a safe and predictable way. You will be placed in one of three run groups based on your personal high performance driving abilities. The A run group is for seasoned track veterans, qualified racers, and instructors. The B group is for drivers with a moderate amount of track time but not ready to run in the A group. The C group is for drivers that have recently been signed off solo by an instructor or novice drivers. We do accept all licensed drivers from 16 to….Instructors are available and at times, mandatory. All of our events are fully staffed with turn workers, a tow truck for quick removal of a disabled vehicle, and local EMT’s. The Mustang Roundup High Performance Driving Event has strict but reasonable rules balanced with an attitude of fun. There is a mandatory ground school, 7pm-9pm, the night before the track event! This is always relaxed, fun, and most importantly, informational. So, on July 17th at Drivers Club, 7310 185th Ave NE, Redmond, we will expect to see you! Just look for the parking lot with all of the Mustangs!